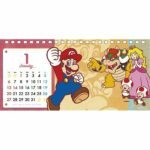 It looks like Ensky has more calendars of Nintendo characters in store! 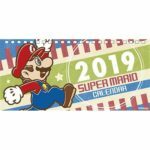 The company just revealed a Super Mario calendar for 2019, just like they did for Kirby. It will measure 23 x 11 x 3 cm, and come with 13 pages total. You can preorder it from PlayAsia here – before it ships out on October 11.